Have You Thought About A Funeral Trust? You’ve seen the commercials on TV comparing prices for the average funeral and the cheaper alternates. In case you haven’t, the price runs between $7,000 and $10,000. This price includes the service at the funeral home, burial in a cemetery, and installation of a headstone. Like the proverbial 500-pound gorilla in the room, there is one big looming question: who’s going to pay for it? 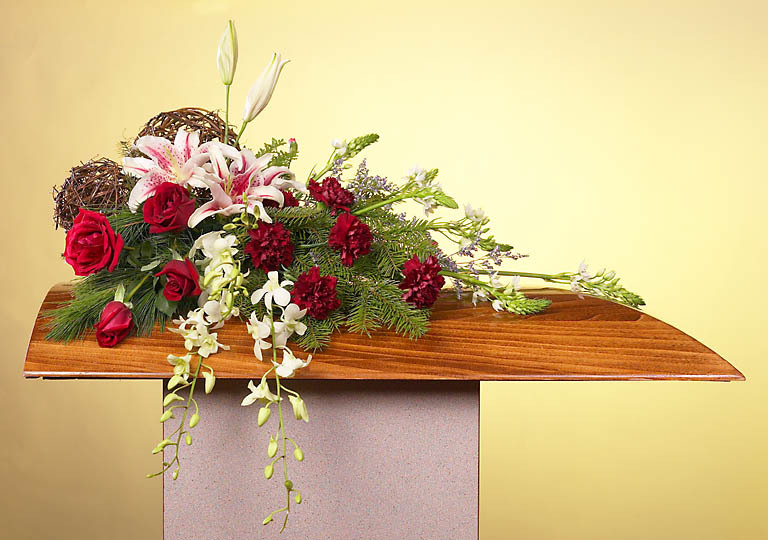 If Mom, Dad or Uncle Joe didn’t have the forethought to make arrangements years ago, it’s not unusual for families to scramble to find money to pay for Mom or Uncle Joe’s funeral, making an emotional situation that much worse. Here’s an idea you may not have been aware of, or even considered. Right now, regardless if you’re healthy and fit as a fiddle, or you have loved one looking at a nursing home, paying for your funeral now could work in your favor. The technical term is called an irrevocable funeral trust, or for simple terms we’ll call it a funeral trust. You establish a funeral trust purchasing a policy from a third-party insurance company whose sole job is to manage and oversee funeral trusts. At time of death, the family calls the insurance company’s customer service line and gives a policy number that was issued when the trust was established, and within 2 business days, a check is sent to the funeral home of your choice. A few weeks later, after some paperwork is submitted, the remaining money (with the interest figured in) is returned to the family. If you’re in good health, purchasing a funeral trust is just a great example of preplanning. It’s a matter the family doesn’t have to worry about. On the other end of the spectrum, if you or a family member is seriously looking at a Medicaid situation, a funeral trust is one way to protect assets – money – and be able to pass part of your financial legacy on to the family. It should be stated that a funeral trust doesn’t deal with cemetery plots, vaults, etc… This is a common query that comes up during the discussion of funeral trusts. The trust deals with specifically business arrangements with the actual funeral home. One of the positives to have a funeral trust is, you’re not committed to using a funeral trust at a specific funeral home or location. The family-owned, neighborhood funeral home which handled Grandma and Grandpa’s funerals 20 years may or may not still be in existence today. Sure, the physical building is still there, but name on the sign out front is different, and the one-on-one customer service that made the local funeral home successful is a thing of the past. That’s not a problem with a funeral trust. Your brother in Wyoming can contact the funeral trust company in Minnesota, for example, and have the money sent to a funeral home in Florida. It’s that flexible. The process also works if your loved one wants to be cremated or have his or her body donated to science. A little more paperwork is involved, such as a letter from the university, but the end results are the same: the family has the opportunity to receive the policy’s balance. Question: Mom and Dad prepaid their funerals with XYZ Funeral Home about 10 years ago. Can they set aside money for their funerals a second time? Yes. Enough time has passed from when the original contract was signed. A second trust will ensure there is enough money to cover all costs, and again, whatever remains after all the bills are paid goes to the family. Who’s going to benefit from all this? The family. They won’t have to worry about scraping money together to pay for Mom’s funeral, plus Mom and Dad, or whoever has the funeral trust, is able to pass money on to the family, which is the ultimate goal, right? This is one way for their legacy to be passed on to the family. complicated world of long-term care and financial strategies. It is best to consult an elder law attorney who can properly advise and draw up the necessary legal documents.